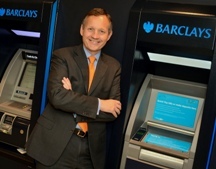 Is Barclays’ investment bank too good to lose? Antony Jenkins is wrestling with this question ahead of the UK lender’s strategic D-day next February. Politicians, as well as some regulators and shareholders, wouldn’t mind seeing the hard-charging investment bankers associated with the Bob Diamond debacle cast adrift. But while Jenkins will need to perform open-heart surgery on the unit, it still has value as part of the group. Investment banking eats up 51 percent of Barclays’ group capital under Basel III. It contributes almost as much in group earnings, at 49 percent. As at Goldman Sachs, Credit Suisse and Deutsche Bank, investment banking makes up more than half of group revenues. In other words, it defines Barclays. True, the model is under threat. While Barclays retail bank churned out 17 percent return on equity in the first nine months of year, investment banking RoE was lower – and is bound to decline further. The 14 percent return it achieved in the first nine months would fall to about 6 percent in the new regulatory environment, according to research by JPMorgan. That makes it imperative for Jenkins to go for a radical overhaul of the investment bank. Under the most extreme restructuring scenario envisaged by JPMorgan analysts, the bank could take out 75 billion pounds of the investment bank’s roughly 235 billion pounds of Basel III risk-weighted assets. That would be only slightly more than similar reductions announced by UBS and Credit Suisse. That would also help address Barclays’ unfashionable reliance on leverage, which Goldman puts at 30 times its assets – double the level of Morgan Stanley. JPMorgan sees a 30 percent uplift potential for the bank’s market capitalisation. The revamp should also include exiting equities outside the United States, the UK and a few other core markets. As BernsteinResearch points out, the UK bank doesn’t have the wealth management or prime brokerage heft to support a large equities business. Covering a few large global investors is – and should continue to be – the priority. With Barclays still in the midst of a welter of scandals and the risk of associated litigation, the potential uplift outlined by JPMorgan would be more than welcome. Jenkins has little option but to opt for a radical investment banking overhaul – which doesn’t mean a breakup. Three of the largest 30 shareholders in Barclays have urged Chief Executive Antony Jenkins to take a leaf out of UBS’s book and instigate a dramatic overhaul of investment banking, the Financial Times reported on Nov. 26. One top-10 investor in Barclays told the FT it had held discussions with the bank about splitting up investment banking and retail. Barclays is in the middle of a review of its group operations - dubbed Project Transform - the results of which are due to be unveiled in February. The investment banking unit is in the final stages of Project Mango, a separate review that will feed into Project Transform.